........... for a while, as undergoing repairs to the offside between Christmas and the New Year. The Eve should be interesting with a Morphine & Horlicks mix plus an Ovaltine chaser. Stagecoach Group plc has announced that it has entered into an agreement to sell its North America Division to an affiliate of Variant Equity Advisors, LLC for an estimated enterprise valuation of US$271.4m. The cash proceeds will be used to reduce Stagecoach's consolidated net debt. The Disposal is expected to complete by the end of the current financial year to 27 April 2019. "During our two decades in the North American transportation market, our success included reinvigorating the inter-city coach sector and delivering growth with our innovative megabus.com brand. We have a great team of people who have ensured we have played a leading role in the development of public transportation in the United States and Canada. "The sale of our North American operations will allow management to focus more closely on the significant opportunities for growth in the UK. We have strong bus and rail operations in the UK where public transport has good prospects as the clear solution to the challenges of increasing road congestion and poor air quality." Stagecoach's North America Division operates bus and coach services. It provides megabus.com inter-city coach services, commuter services, airport transportation, sightseeing tours, charters and contract services across North America. It is one of the largest ground transportation operators in North America with around 4,500 employees and more than 2,000 buses and coaches. For the year to 27 October 2018, Stagecoach reported revenue of US$619.4m (£460.3m) and operating profit* of US$21.7m (£15.9m) for the North America Division. For the last full Stagecoach financial year to 28 April 2018, revenue for the North America Division was US$630.0m (£470.9m), operating profit was US$28.1m (£21.0m) and profit before tax was US$23.8m (£17.8m). The gross assets of the North America Division as at 27 October 2018 were US$478.6m (£373.3m). The Stagecoach Board believes that the Disposal represents an opportunity to realise an attractive valuation for the business whilst refocusing Stagecoach's portfolio on the UK. The management of the North America Division are expected to remain with that business following the Disposal, while Stagecoach Group's management will principally focus on its UK bus and rail operations, and growth opportunities in the UK. The North America Division is headed by Coach USA, Administration, Inc. Stagecoach subsidiary, Scusi Limited ("Scusi"), has agreed to sell 100% of the equity of Coach USA, Administration, Inc. to Project Kenwood Acquisition, LLC. Project Kenwood Acquisition, LLC. is an entity managed by Variant. Variant is a private equity firm that focuses on pursuing corporate divestitures and other operationally-intensive transactions. The consideration for the Disposal has been agreed at US$207.0m, subject to a "Locked Box" arrangement. Based on the net debt of the North America Division as at 27 October 2018 of US$64.4m (after adjusting for US$20.0m of dividends paid in November 2018 and reflected in the agreed price), that represents an enterprise value for the business of US$271.4m. The consideration includes a Deferred Payment Instrument of US$65.0m, with the balance of the consideration being payable in cash on completion of the Disposal. The amounts that Scusi receives under the Deferred Payment Instrument might be affected by the future performance or subsequent sale of the North America business. Under the agreed "Locked Box" arrangement, the cash consideration may be adjusted for certain "leakage" transactions, such as further dividends, prior to the completion of the Disposal. For a transitional period following the Disposal, Stagecoach will continue to support collateral arrangements for the ongoing operation of the North America Division, principally in relation to insurance. The cash proceeds will be applied to reduce Stagecoach's consolidated net debt. Completion of the Disposal is subject to certain conditions, principally relating to the approval of the Surface Transportation Board, the removal of certain Stagecoach parent company guarantees, change of control consents and no material adverse events. 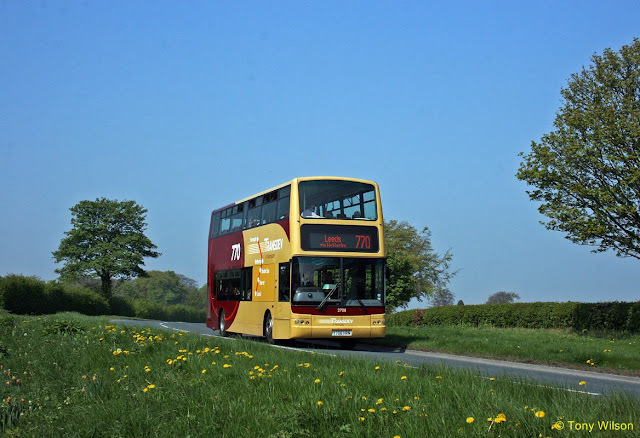 Stagecoach expects the Disposal to complete by the end of its current financial year to 27 April 2019. One appeared in an conservation area of special historic interest . Another was dubbed the Turdis by furious residents when it popped up in their quiet street. Now the full scale of the “Turdis invasion” across suburban London can be revealed. 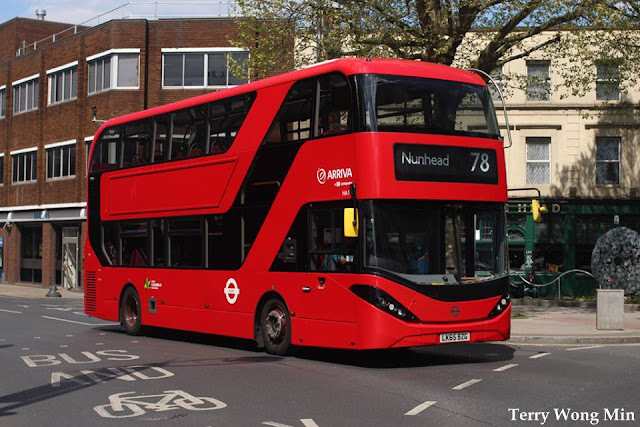 More than 40 of the stainless steel lavatories for bus drivers are set to be installed on routes in the coming months, at cost of £6 million to Transport for London. 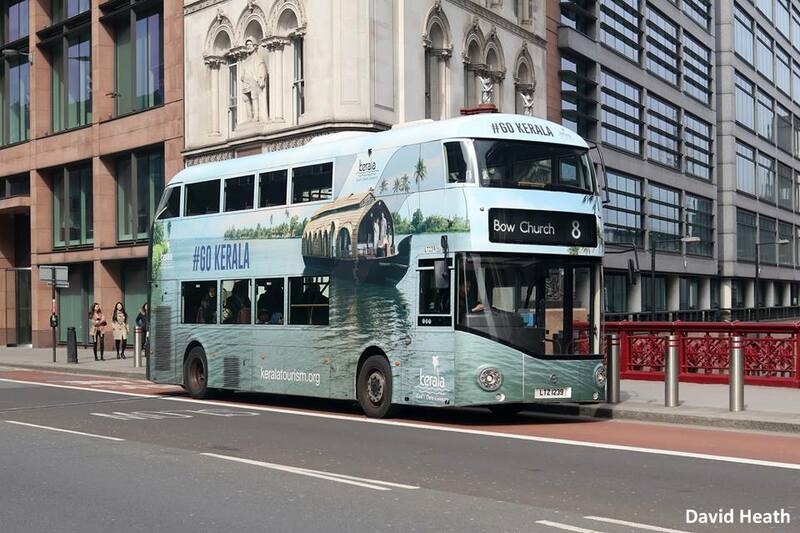 The first wave has seen 10 appear across the capital, at the beginning or end of major bus routes. Some are only temporary and will be replaced with the sturdier steel kiosks with porthole windows in the new year. At least 30 more are expected under TfL’s plan to ensure round-the-clock facilities are available to drivers. The specific locations are either yet to be identified or remain confidential. Due to their classification as infrastructure facilities, the lavatories can bypass planning laws. 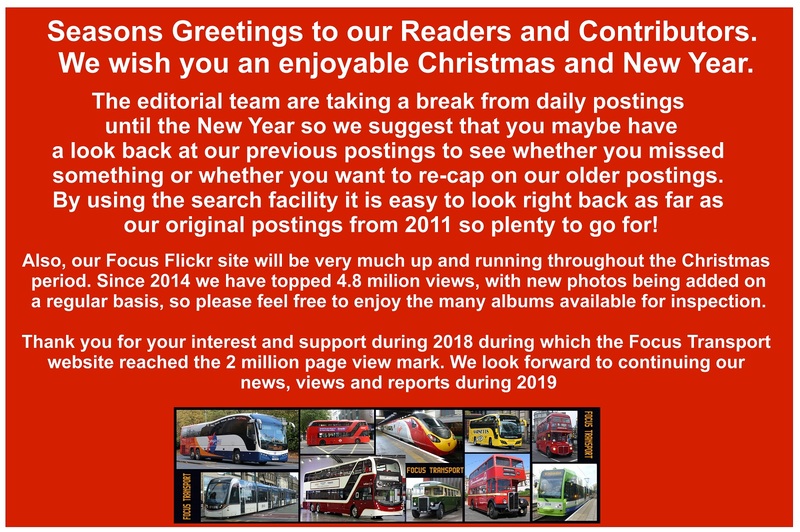 TfL says it has sent out letters to residents, but it is under no obligation to do so. 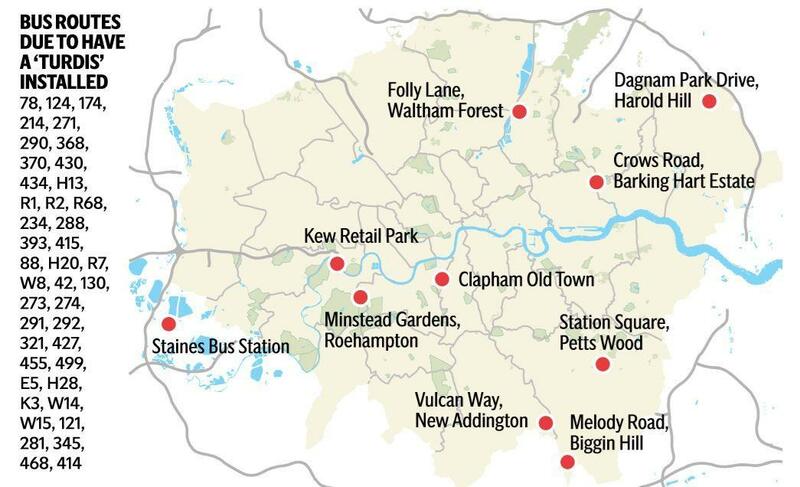 Other routes where lavatories have been installed include Harold Hill, north-east London; Staines bus station; Harts Lane estate in Barking; Minstead Gardens in Roehampton; Vulcan Way in New Addington; and Folly Lane in Waltham Forest. Residents in a garden square on the number 88 route through Clapham caught wind of a planned lavatory, and launched a fierce campaign. The toilet was due to be installed last week but its site is now being reviewed. 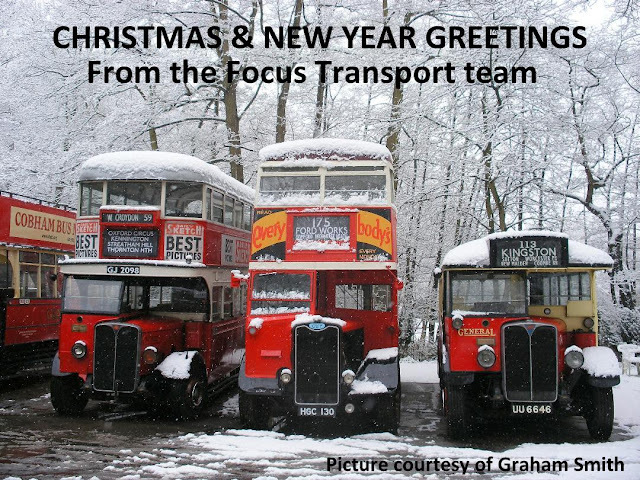 Planes, trains and automobiles may all slow down on Christmas Day, but there is one part of the UK where a comprehensive bus service will be in operation. Southern Vectis, part of The Go-Ahead Group, will run a comprehensive bus service across the Isle of Wight on December 25. The island is one of the only parts of the UK to see normal transport run throughout the festive season, allowing residents to visit friends and family, get to work and those full of festive spirit to travel home safely. The operator began running a few Christmas Day buses in 2008 and has gradually increased its services. 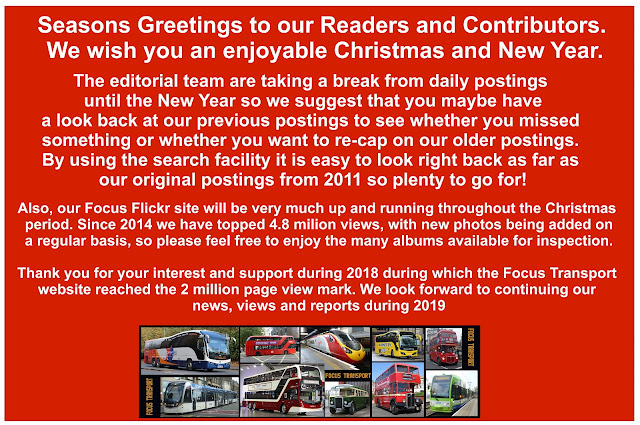 Drivers sign-up for the festive shifts, and this year Southern Vectis was over-subscribed with drivers eager to don their Santa hats and festive jumpers before getting behind the wheel. Go-Ahead’s south coast operation will also run services in Southampton and across the region. Key routes - such as Southampton’s flagship Bluestar 1 – will be diverted to travel through smaller towns and villages. The popular Bluestar 18 will be extended to encompass local hospitals on their routes, ensuring that people with mobility issues, or lack of access to other vehicles, are able to visit friends and family in hospital, or farther afield on the big day. This same initiative will run on the M1 and M2 Morebus operations in Bournemouth and Poole, which will be extended to cover The Royal Bournemouth Hospital and Christchurch. 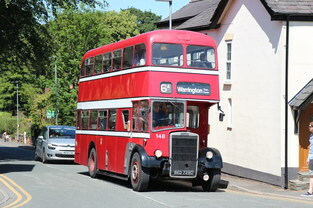 The town’s bus company will have its vintage Leyland PD2 & Volvo Olympian open top buses out and about for Christmas. During the day on Friday 21st December, the vintage and open top buses will operate journeys on The Cheshire Cat, The Pops & 16/16A. The Leadership of the bus company will be on board, with Santa Claus, to welcome customers with a chocolate and the fares from those journeys will be given to St Roccos. 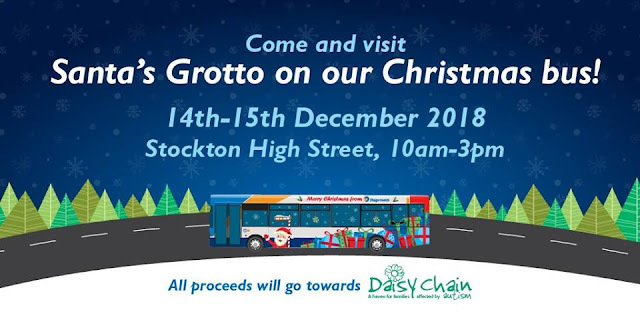 Chair of the company Cathy Mitchell said: “For a second year running, we will have our special buses out to spread some festive cheer. We’ve done a lot in the past 12 months to reduce fares and improve services and we have more to come in 2019. It is also fitting to make a donation to St Rocco’s Hospice as it is such a worthwhile charity”. Stagecoach, one of Britain's biggest bus operator has called on councils across Britain to reinvest their hundreds of millions of pounds of profits from car parking in measures to back the country's bus networks. 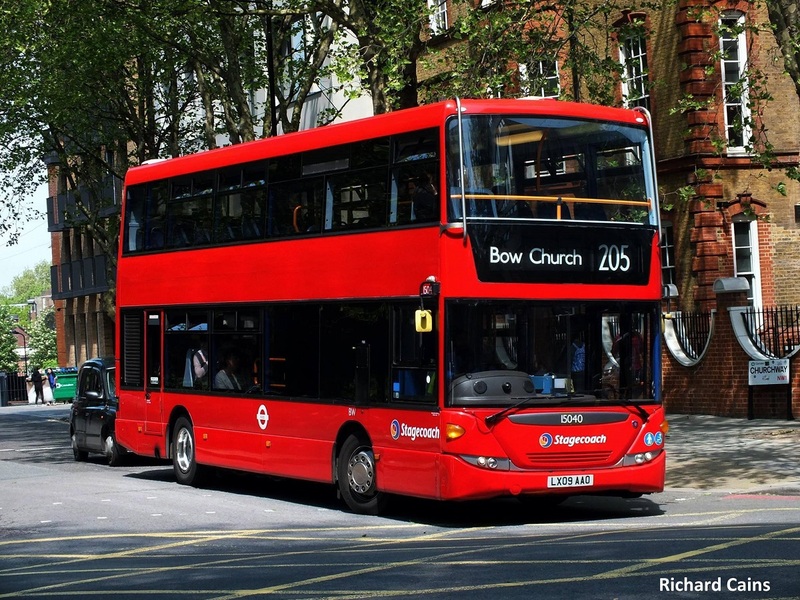 Stagecoach said the £925m annual surplus from car parking fees and enforcement shared by local authorities in England, Scotland and Wales could help bus passengers and tackle the growing congestion and air quality crisis in towns and cities across the UK. Data published by the RAC Foundation shows that council profits from on-street and off-street parking car parking in England has risen by almost a third (32%) over the past four years and in 2017-18 stood at £867m. In Wales, the surplus for 2017-18 was £14.4m, up 3% on 2016-17 and the fifth consecutive annual increase. Statistics for 2017-18 covering councils in Scotland has not yet been published, but the equivalent figure for 2016-17 was £42.6m, an increase of 6% on 2015-16. The increasing council profits from car parking is in stark contrast with the significant cuts to local authority spending on buses in recent years - despite the bus being Britain's most important and heaviest used mode of public transport. 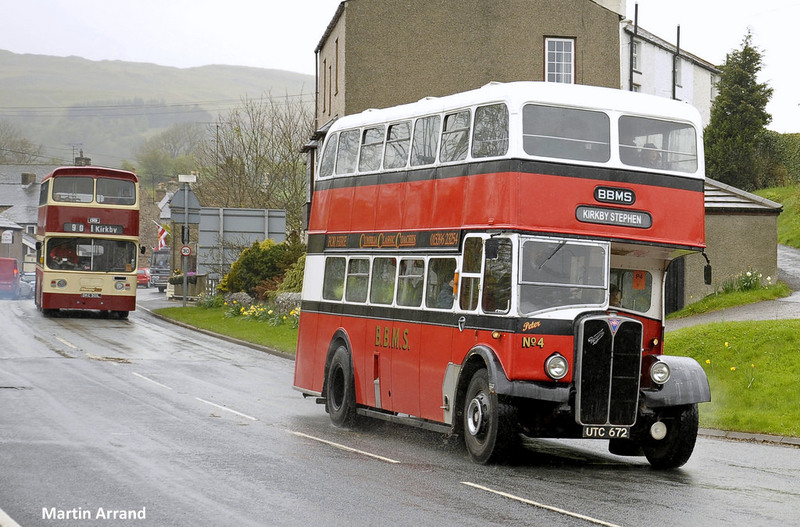 Data published earlier this year by the Campaign for Better Transport shows that local authority bus budgets in England and Wales were cut by £20.5 million in 2017-18 - the eighth year in a row investment has been reduced. Since 2010-11, 3,347 council funded bus services in England and Wales have been reduced, altered or withdrawn, with spending down 46% in England and 39% in Wales between 2010-11 and 2017-18. Mark Threapleton. 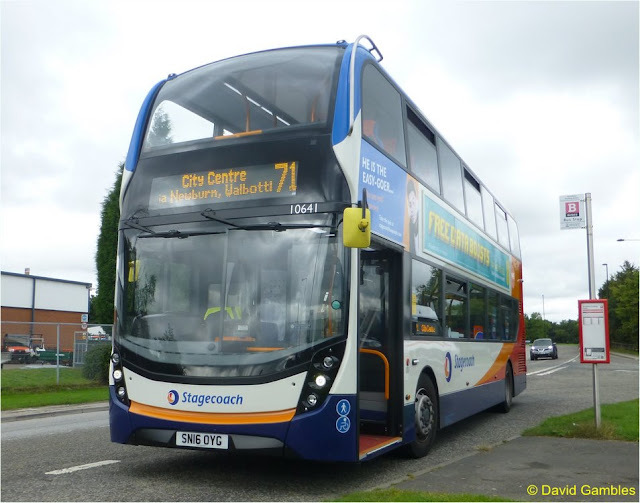 Managing Director of Stagecoach UK Bus said: "Towns and cities across Britain are facing a congestion and air quality crisis, which is damaging the health of our bus networks, the health of our economy and the health of individuals. "These figures show that councils are making huge profits from car parking every year, but instead of that money being reinvested in measures to help bus passengers and encourage modal shift to sustainable bus travel, bus budgets are being slashed. "With around 30% of high street spending coming from bus users, these investment cuts are not just bad news for public transport, but bad news for local businesses. "If local authorities are serious about addressing air quality, backing the high street and supporting local communities, we believe car parking profits should be ring-fenced to protect and improve Britain's buses. This is absolutely not about subsidies for bus companies, it is about targeted measures to help bus passengers. 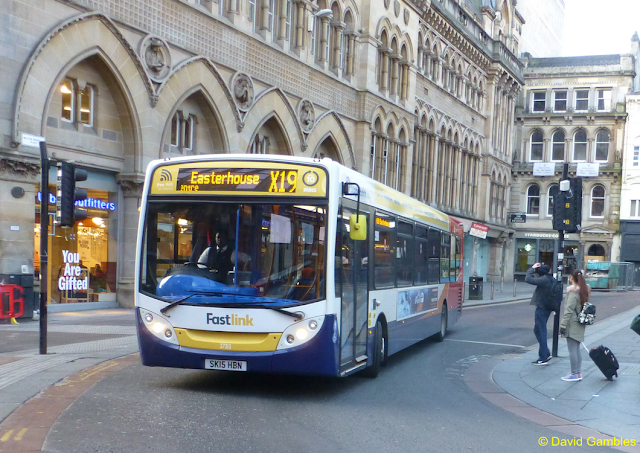 "We could see a massive positive impact if that level of funding was used to promote sustainable bus travel, deliver better bus priority for passengers, and introduce traffic management measures to address congestion." The car parking profits equate to more than four times the combined £204.5m budgeted spend by councils in England and Wales in 2018-19. Total budgeted spend for buses in England in 2018-19 is £189.7m and for Wales is £14.8m. Buses account for around 60% of all public transport journeys, with around 5 billion journeys by bus in Britain every year. The P2 Steam Locomotive Company has announced that their Motion Club has reached 100 members since it opened in April 2018. The Motion Club aims to raise £210,000 to manufacture the motion for P2 No. 2007 Prince of Wales. In order to complete No. 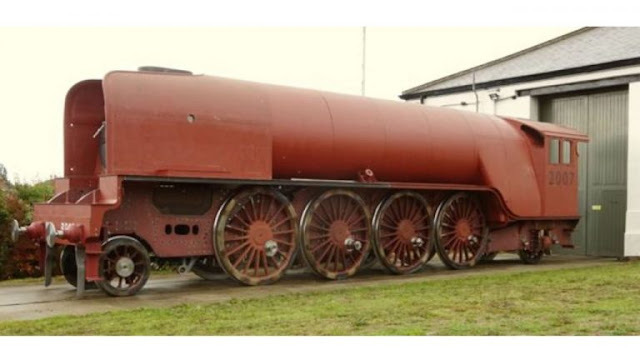 2007 Prince of Wales by the end of 2021, the project needed to order the heavy motion in 2018. Dutch manufacturer VDL Bus & Coach is introducing its new Low Entry variant of electric Citea bus in Europe. 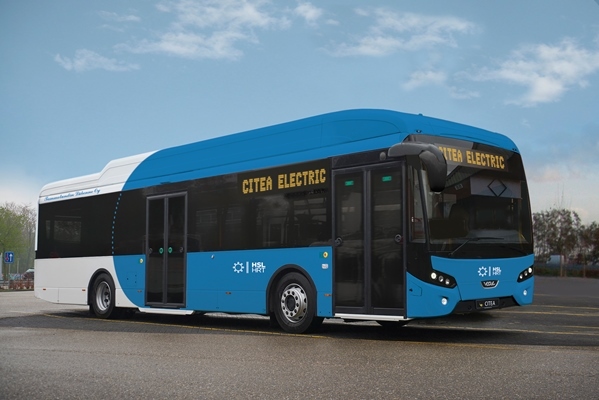 The new VDL Citea SLE-129 Electric already attracted first order from Finnish public transport company Tammelundin Liikenne Oy, which purchased two for routes 90 and 96 in the Vuosaari region of Helsinki. According to the press release, the right size battery capacity (216 kWh) combined with charging at bus stops during operation (using roof-mounted pantograph with a power transfer capacity of 300 kW), enables it to stay in operation for 22 hours a day. The other two hours are needed to check and clean the bus (as well as charge at 50 kW to full), which proves that electric buses can replace the diesel equivalent without much hassle. 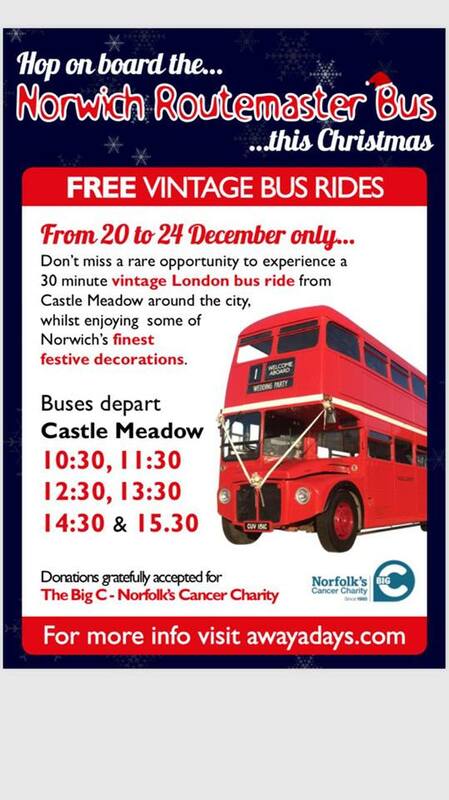 **The vintage RM will stay in Swindon all day, greeting excited children and offering presents to them from 8.30am to 5.30pm. 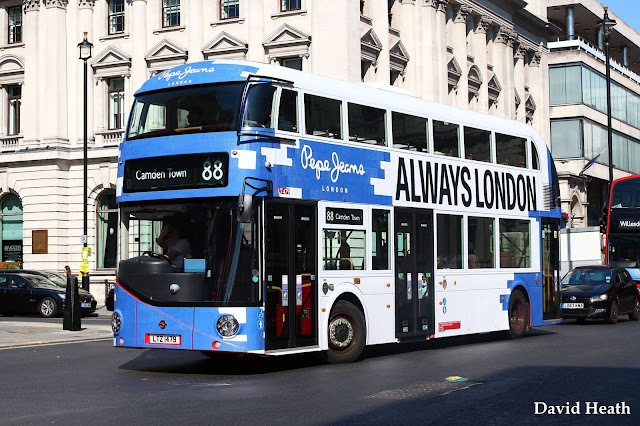 Rachael Youd, business development manager at inSwindon BID Company, said: “This is a great initiative by Stagecoach, who are one of our BID members. He’ll also be visiting Cheltenham and Gloucester twice, but only from 11am to 3pm each time. The Santa bus attracted quite a crowd when Father Christmas arrived in town last year at the Orbital and his much-anticipated return is expected to be just as popular. All the money raised during the trips will go to Friends of Swindon Young Carers and Gloucestershire Young Carers. Parents and guardians who want their little ones to meet Santa will be asked for a minimum donation of £2.50 per child. Swindon Young Carers provides a range of services for young carers who look after an ill or disabled family member in the Swindon borough, where there are approximately 21,000 unpaid carers of all ages, including children and young people. Swindon Carers Centre provides them with much-needed support. Gloucestershire Young Carers is a local charity who provide a range of services for young carers who look after an ill or disabled family member. They currently support more than 1000 young people by providing a network of support, opportunities for young carers to enjoy their childhood and meet with peers in similar situations to themselves. They enable young carers and their families to access support that minimises the physical and emotional impact of caring and that promotes health, well-being and resilience. Illness has no boundaries and any one of us might find our family facing a health crisis. That's why it's so important to support Gloucestershire Young Carers and keep their support services going. Sadiq Khan’s proposed pedestrianisation of Oxford Street has been abandoned - while a likely end to his fares freeze emerged as the biggest consequence of the financial crisis at Transport for London. 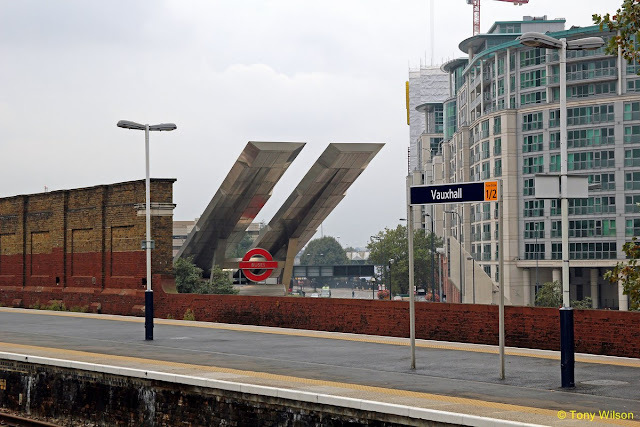 Long-awaited upgrades to Camden Town station and the “deep level” Tube lines such as the Piccadilly line have also been shelved as passengers were warned of an above-inflation hike in fares. TfL confirmed on the 12 December, that the £43m earmarked to pedestrianise the western end of Oxford Street had been reallocated to other “healthy streets” projects, such as the CS9 cycle superhighway in Chiswick, the CS4 superhighway in Greenwich and the CS1 in Hackney. Pedestrianising Oxford Street was one of Sadiq Khan’s mayoral manifesto promises in 2016 but Westminster council blocked his plans in April. The Tory-run council has brought forward alternative plans to keep the street open to vehicles but “significantly reduce” the number of buses and potentially ban taxis and cars at peak times. 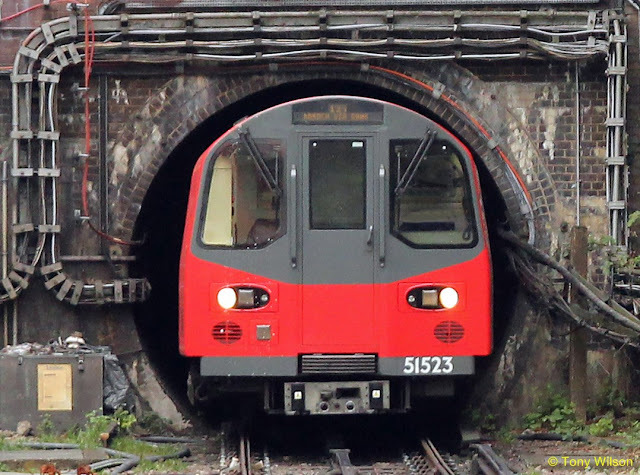 The changes emerge in TfL’s new five-year budget, which “assumes” there will be a fares hike equivalent to the RPI rate of inflation plus one per cent from 2021. RPI is currently 3.3 per cent. This could add at least 15p onto every Tube journey. Mr Khan’s spokesman said any change in fares, most of which have been frozen since 2016, would be announced at a later date. TfL commissioner Mike Brown said there were “three big external factors” behind the anticipated fares hike - the loss of the £700m a year Government subsidy, “macroeconomic conditions” that have reduced journeys, particularly off-peak bus travel, and the £600m black hole in TfL income caused by a delay of up to two years in opening Crossrail. About 2,000 jobs at TfL could be at risk as it seeks to cut running costs by 30 per cent. Upgrades at Bank, Holborn and Elephant and Castle will proceed, as will step-free access at Finsbury Park, Hanger Lane and Wimbledon Park. Junctions such as Old Street, Vauxhall Gyratory and Highbury Corner will be made safer. One of London’s biggest ever Christmas rail shutdowns will see many stations and lines - including direct links to Heathrow and Gatwick - closed throughout the holiday season for much-needed upgrade work. 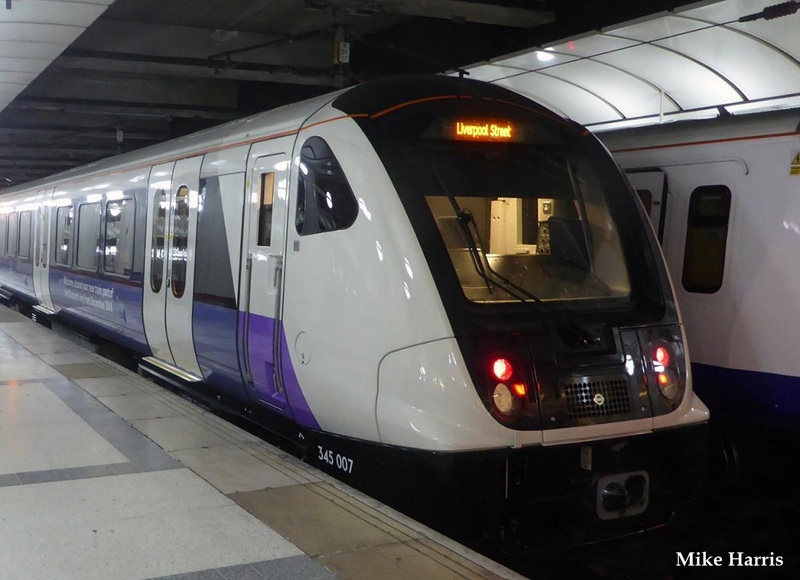 Virtually all routes into Paddington, including TfL’s Heathrow Rail and potentially Heathrow Express services, will be cancelled or heavily reduced from midnight on December 23 until New Year’s Day. Major works to replace worn track south of Victoria will disrupt Southern rail routes from December 22 to January 2, with buses replacing the local link to a “very busy” Clapham Junction. Gatwick Express services to and from Victoria will not run at all, with passengers diverted onto regular services from London Bridge and Blackfriars.Large-scale engineering improvements between Liverpool Street and Stratford means major timetable changes for Greater Anglia, Stansted Express, c2c and TfL Rail services. Services will also be reduced at Euston including the Caledonian Sleeper, London Overground’s Watford line and Virgin Trains to Scotland and the Midlands.The last “Night Riviera” Sleeper service from Paddington to Penzance will run on December 21, and will then not restart until New Year’s Day. On Christmas Eve there will be early shutdown - around 9pm - of many services leaving London. There are no rail services across the UK on Christmas Day and very few on Boxing Day. A £1.4bn bailout has been announced for Crossrail, as Europe's biggest infrastructure project is pushed back beyond its launch date of autumn 2019. London’s £15bn route, to be known as the Elizabeth line, had originally been due to open this month. The rescue plan - the third this year - will be used to plug a predicted £2bn hole in the project's finances. 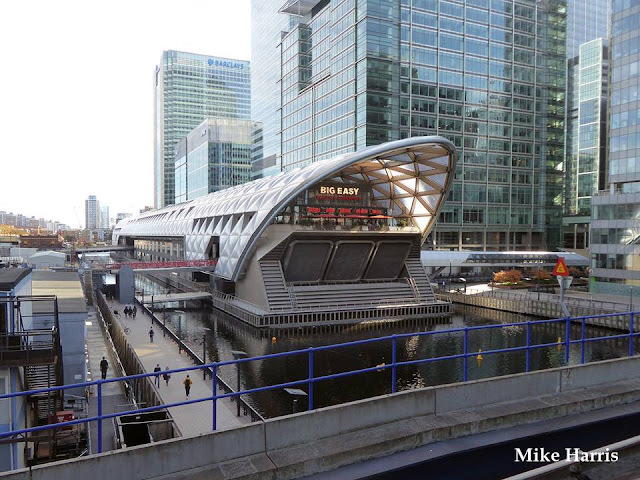 The scheme will connect major landmarks such as Heathrow Airport and the Canary Wharf business district. Mayor of London Sadiq Khan said the deal means "Crossrail's new leadership can get the job done". Transport for London (TfL) estimates it will miss out on at least £20m in revenue due to the delay. Between £1.6bn and £2bn is needed to complete the project, a review by accountancy firm KPMG indicate found. The scheme is currently running almost £600m over budget, and the previous bailouts have not come without criticism. The project received a £590m cash injection in July, followed by an "interim" £350m loan announced in October. It was announced in August that the route was to open nine months after the original scheduled launch of December 2018 to allow more time for testing. TfL announced on Monday that the launch had once again been pushed back, and a new "robust and deliverable schedule" would be announced later. When open, the project will help ease London's chronic congestion. 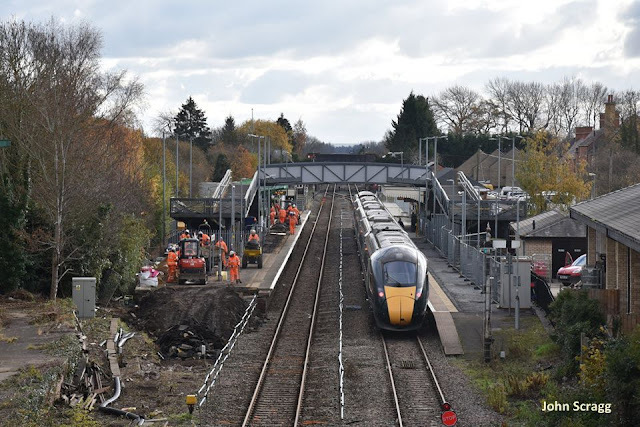 Trains will run from Reading and Heathrow in the west through 13 miles of new tunnels to Shenfield and Abbey Wood in the east, when fully operational. Crossrail says the new line will connect Paddington to Canary Wharf in 17 minutes and described the 10-year project as "hugely complex". An estimated 200m passengers will use the new underground line annually, increasing central London rail capacity by 10% - the largest increase since World War Two. 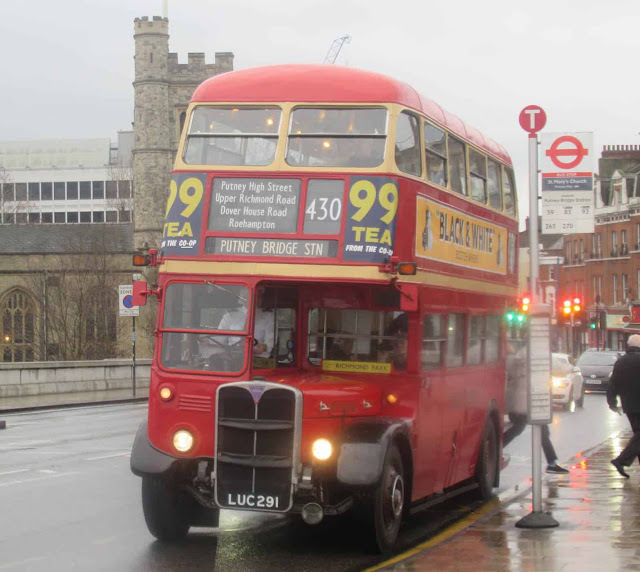 Under the new deal the Greater London Authority (GLA) will borrow up to £1.3bn from the Department for Transport, and provide an extra £100m itself. The GLA will repay this loan from increased business rates. 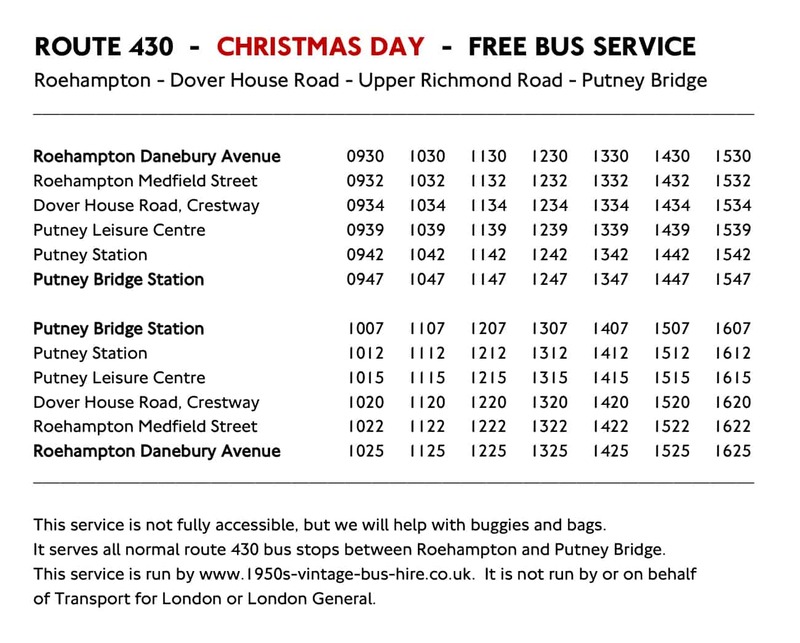 On Christmas Day 2018 a free bus service will again run on route 430 between Roehampton and Putney Bridge. 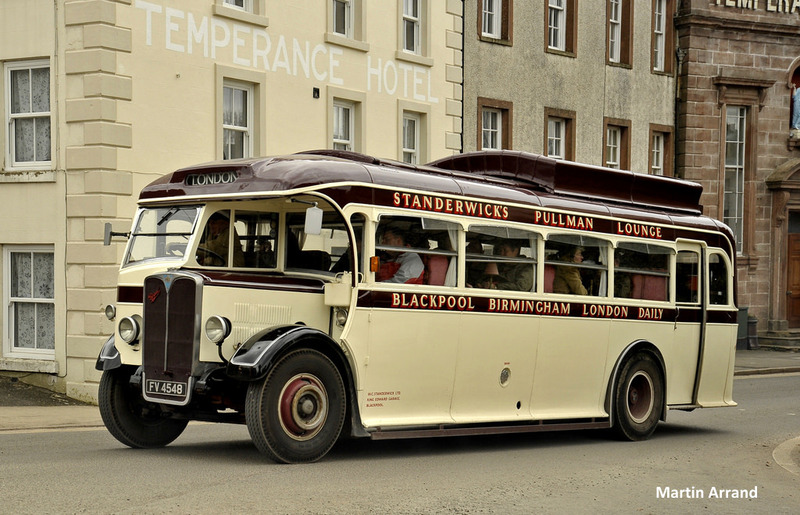 It will be staffed by volunteers using a 1950s vintage bus. It is run for fun and goodwill by the Vintage Bus Hire company. 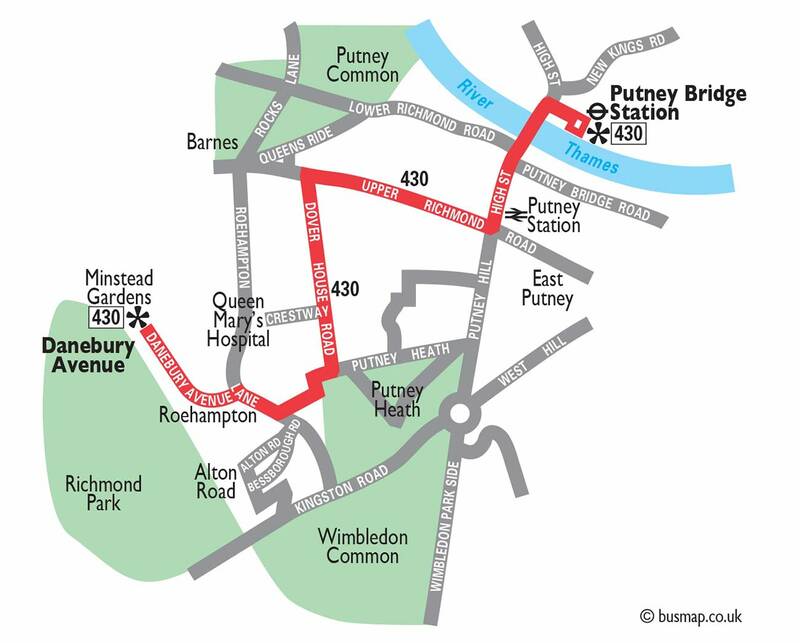 The service will run hourly, leaving Roehampton from 09:30 until 15:30, and Putney Bridge from 10:07 until 16:07. It will stop at any normal route 430 bus stop along the way. So if you’re visiting a pub on Christmas Day, going to church, visiting friends and family, or just want to take the children out for a ride, check their timetable. For Roehampton Hospital the route stops a short walk along Crestway to Dover House Road. 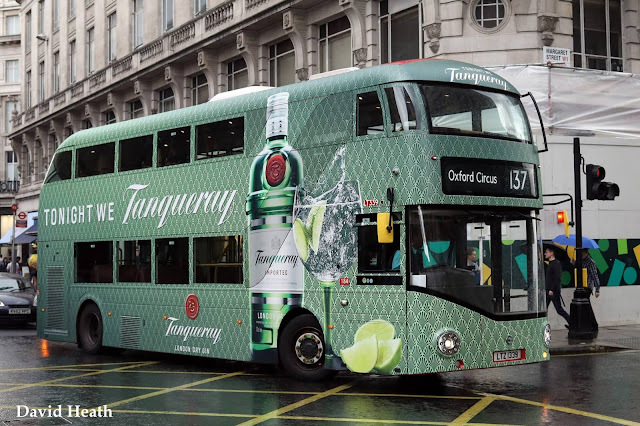 This is not a Transport for London or London General service. However the bus is run professionally under an operator’s licence, meeting current safety regulations. The bus is not fully accessible, but there will be a conductor to help passengers. If you have any questions about this Christmas Day service, please email richard@1950s-vintage-bus-hire.co.uk.